One piece was an op-ed by David Harsanyi at The Federalist titled “Political Journalists Are Trying To Gaslight America.” [https://bit.ly/2SaTi9v] The second was an interview at Spiegel Online with President Obama’s former adviser Ben Rhodes [https://bit.ly/2GTSlR7]. The premise of Harsanyi’s piece is that “In the past week, I’ve noticed a number of Democrats and liberal journalists refusing to concede inconvenient facts.” Don’t let the rhetorical device bother you. I’m pretty sure that Harsanyi didn’t really just discover that liberal journalists refuse to concede “inconvenient facts.” But he did find a plethora of examples in the news right now that showed stunning duplicity by journalists in covering up for left-wing politicians. Gaslighting, in case you don’t know, is the name given to the process of convincing an innocent person to disbelieve the truth (and doubt their own sanity) by promoting a lie through deception, manipulation and false claims of authority. It comes from the name of a 1944 movie about a woman being manipulated by her husband into thinking she is going insane, but it has seen a resurgence in use since the mass media have become such obvious tools of propaganda and social manipulation. Harsanyi cites several examples of journalists covering up the truth in the current topics of late-term abortion and the Green New Deal, showing in both cases how the president’s blunt but accurate words in his El Paso speech were turned into apparent falsehoods by reporters misstating the facts (and they don’t even have the benefit of Charles Boyer’s soothing voice). “No matter how many times … you quote the plain language of the Virginia or New York abortion bills, they [Democrats and liberal journalists] won’t acknowledge that both legalize the procedure until the moment of birth for virtually any reason,” Harsanyi writes, and then gives examples. The examples of gaslighting that Harsanyi provides are partly from social media, but many examples exist of mainstream media using sleight of hand to mislead readers that contentions by President Trump are to be disbelieved on their face. A common practice, for instance, is to quote an opinion uttered by the president in a speech or press conference, and then to describe the utterance as being offered “without evidence.” Hot Tip for Mainstream Media: Opinions don’t need to be accompanied by evidence. If you don’t want to know what the president thinks, don’t ask him questions. Which brings me to my thesis about good journalism: “Ask the right questions and let the answers speak for themselves.” The American people don’t need to have reality filtered through the cannabis-enriched brain cells of our celebrity media elites, and most people have figured that out. President Trump certainly did, which is why he uses Twitter as his primary communication platform. While reporters and pundits (is there a difference anymore?) insist on translating and interpreting Trump’s tweets, their participation in getting the story out is at best superfluous. With Twitter, the president doesn’t even need to wait for reporters to ask questions, let alone translate his words for the poor befuddled common folk. Yet we can’t just leave elected officials and others in positions of power completely unaccountable. The free press is essential to eliciting information and distributing it to the electorate and to the citizenry in general. So, if we increasingly can’t trust the mainstream media to report the facts without “gaslighting” the public, what are our best options? The answer for me came in that story from Der Spiegel. The interview with Ben Rhodes took the form of a Q&A. It’s not the most elegant form of reporting, but it has the distinct advantage of transparency. What exactly did the reporter ask, and what level of responsiveness did the subject of the interview exhibit? With a Q&A, we don’t have to guess, whereas with any typical five-person-bylined story in the Washington Post or the New York Times, we have no idea what questions were asked, nor can we ascertain whether the reporters’ characterization of the answers is trustworthy. How much more enlightening it is to read the interview in whole. In truth the interview could have ended after the first declarative NO that Rhodes uttered after that first surprising question since he refuses to budge an inch toward giving Trump any credit for his many successes, but it is so much more entertaining to watch Rhodes come up with simplistic answers to Spiegel’s thoughtful questions. When exactly did Spiegel become a conservative Trump-loving newspaper, Rhodes must have been asking himself. Read the rest at Real Clear Politics and check out the comments at the end of the story there. 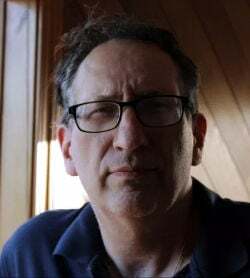 Frank Miele writes from Kalispell, Montana, at www.HeartlandDiaryUSA.com and is a columnist at Real Clear Politics. To see more of my columns about the Dishonest Media, the Deep Swamp, the failed presidencies of George W. Bush and Barack Obama, and Trump’s war to restore American greatness, read my “Why We Needed Trump” trilogy. The books are available at Amazon in paperback or Kindle editions. Also please considering leaving a review in support of my conservative commentary on one or all of my book pages at Amazon! Thanks!